Our turnkey service constitutes a one-stop solution that provides a full design service for your property renovation, whether it's an extension, new kitchen or bathroom, or a basement development project. From conceptual drawings to general arrangement drawings, developing the final design and securing planning consent the design process is a totally collaborative experience for our clients. We believe that a contemporary space should be comfortable, practical and beautiful. We create innovative designs that transform our clients’ homes and the way they live in them. Our designs exceed our Client’s aspirations for their home, but meet with their expectations in terms of budget. As a Design & Build contractor we constantly challenge the design so that it continues to meet the client’s brief and budget. 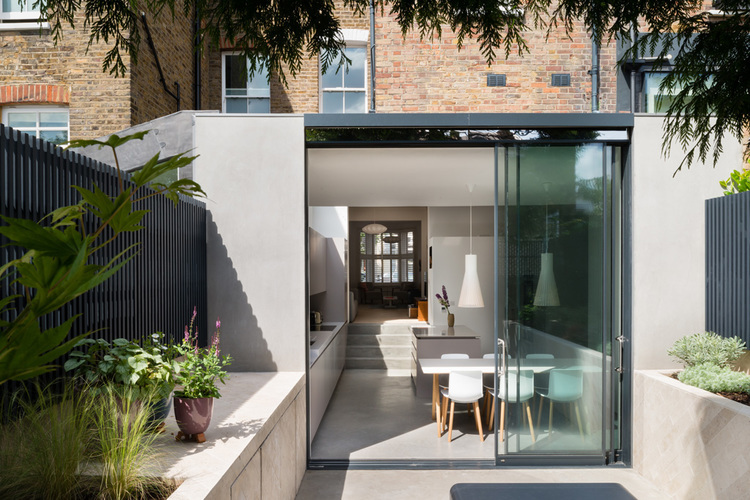 Great architecture should exceed expectation, but also address the limitations of budget. With 30 years’ experience we know how to meet the challenge of balancing design and budget. Creative ideas that make innovative use of space and light. Added value to your home through design values supported by good quality materials. Management of regulations through expertise and careful attention to detail. We would typically identify alternative solutions for the project, advise on feasibility options and produce a preliminary design for discussion. We collate precedents, client ideas and update the original brief. We agree the target budget and programme at this point to work towards. Further to the feasibility study, we will further develop the design to take account of the full design brief & develop a design that takes full account of the design brief & available budget, whilst taking account of any potential limiting factors e.g. conservation & planning restrictions. In the event that planning consent be required, we will produce the required plans, elevations and support documentation for a planning application. Although we cannot guarantee planning approval will be granted, we do have a depth of experience working with planners in the council and their legislation. We will use our skills and contacts to give you the greatest chance of gaining planning permission. The planning process takes between 8-10 weeks from validation of the application. We typically produce bathroom and kitchen layouts, lighting/electrical designs, joinery drawings, material specification and other specific detailed elements of your design. We will work with you to provide ideas for finishes, fixtures and fittings and lighting. And then we build it for you. Innovative design delivered at a price you can afford. Simple.